Salon App Development – Is It Too Late to Build a Salon App or There is Still Hope? So, you’ve a salon business, and since you’re reading this blog, we assume that you’re confused whether it’s too late to build a mobile app for your salon business or not. Simple answer: a big NO! It’s not too late. And it never will be. You see, building a mobile app for salon business is only going to grow your business bigger, even if you’re entering the market now. Reason? – it’s mainly because the majority of customers are using smartphones right now, and according to statista, mobile apps contribute over $40 billion revenue in the industry. And since the salon business majorly depends on the repeat customers, a salon app for your business can produce lots of happy customers by providing features like cashless transactions, irresistible referral offers, emergency appointments, and instant notifications on limited discounts. We recently built Barber’s Connect, an on-demand salon appointment app, for one of our clients in US. The app allows barbershops and beauty salons to post their services with all the details and customers can then book an appointment, make online payment, get directions, and contact the barber directly. Point is, building a mobile app for salon business still makes sense. In this article, we’ll share the challenges salon businesses are facing right now and how they can overcome these challenges through salon app development. Although the salon industry is booming day-by-day, barbershops & salons are still struggling to survive due the growing number of competitors. Below are the main challenges salons are facing these days. Read & see how many challenges are you facing, and learn how a mobile app for your business can help you overcome them. As mentioned just above, Barbershops and salon businesses are facing extremely tough competition as customers now have a wide range of options to choose from. 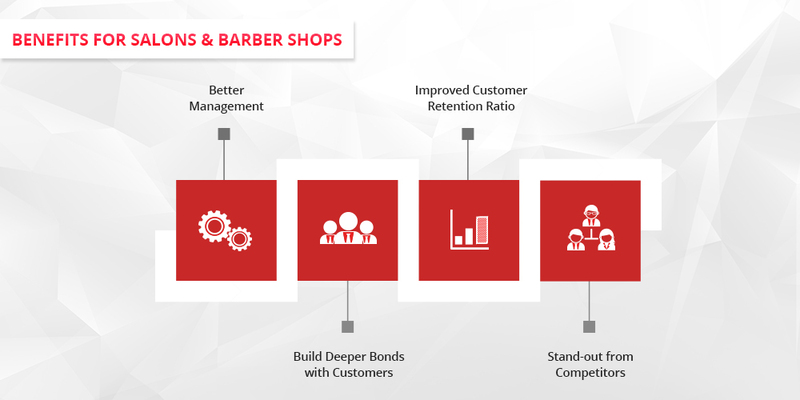 While researching & developing Barber’s Connect, we discovered that in most salons and barbershops, there is no proper management process for handling appointments as well as assigning staff members to each customer. This ultimately affects overall productivity, especially if you’ve multiple branches. Like mention earlier, the salon industry is majorly driven by repeat customers. In fact, 80% of business comes from 20% of the customers, according to Gartner. But still, most barbershops and salon businesses fail to maintain relationship with their customers. This is mainly because most of the salons and barbershops don’t even possess any customer details. As most salon businesses rely mostly on its location to be discovered by their potential customers, it becomes difficult to gain popularity & visibility due to not being at a prime location. But, a mobile app for your salon business can do wonders in terms of reaching targeted customers online and attracting them through irresistible offers. All in all, developing a salon appointment app for your business will not just help you reach more customers and grow revenues, but it will also be cherished by your customers. Read further to know how salon app development can provide priceless benefits to your business as well as your customers. Investing in a salon app will shower you with multiple benefits and will definitely help you in the long run. Let’s discuss each benefit in detail below. Admit it – if your staff knows that there are three other customers waiting in line for their turn, it will most definitely affect the quality of their service. But, through a mobile app, you can achieve better management of waiting customers by appointment booking feature. If you own a barbershop or salon businesses, then you might have dealt many angry customers till now. These angry customers are more likely to march toward your competitor due to delay in providing your services. But, through a mobile app, you can inform customers with the available time slots or notify them beforehand if there will be a delay in catering them, so that you can avoid making them wait in queue and making them angry. You can record and maintain your customers data from their contact numbers to their skin type all within your mobile app. With these data, then, you can reach out and communicate with your customers on regular basis and send regular updates as well as offers to strengthen the ties. Having a mobile app for your salon business can most definitely help you distinguish yourself from competitors. In addition, you can also target broader market by widening the reach through your salon app. So, now that you know the priceless benefits you’ll get from salon app development, let’s dig into how your salon app will benefit your customers. Your customers will love you if you just simply value their time. And by providing the functionality to schedule an appointment, you eliminate the entire wait-for-your-turn concept in your business. Your existing as well as potential customers will be able to get all details including working hours, services you offer, available time slots, and the package you provide within your mobile app. This will ultimately help you in avoid any sort of disappointments by letting your customers know each and every detail of all your services and the available time slots. We’re all humans after all and we bound to forget things at times. But you can incorporate a push notification as well as SMS facility to remind your customers about their upcoming appointments with you. This will not only reduce the no-shows, but taking extra care of your customers, it’ll also make your business stand-out from the competitors. Who does not get delighted at the mention of a sale, discount, or offer? Just keep offering regular discounts & offers, and watch your appointment slots fill up in no time. With more and more salons developing mobile apps, adopting the mobile-first strategy has become a mainstream for barbershops & salon businesses worldwide. In fact, there are already a couple of popular salon chains which are using a custom salon appointment mobile app solution. Jazz Up – Jazz up is a popular unisex hair & beauty salon chain in India that offers a variety of salon services along with all the features including appointment booking, online payment, style gallery, and more in their website. Bblunt – Bblunt is another popular salon chain in UAE as well as in India which has adopted mobile strategy in their business for the sole purpose of collecting customers’ feedback, and based on that, improving customer experience consistently. Enrich – Enrich is yet another salon chain that benefitted greatly from the adoption of mobile technology. 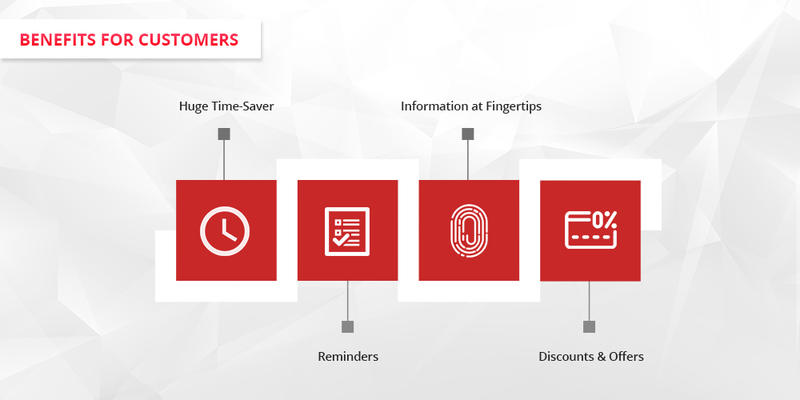 By providing the loyalty program, appointment booking facility, and open & responsive customer service orientation, they’ve been increase the number of their repeat customers as well as being known for consistent excellence. Do You Wish to Follow Their Footsteps? What are you waiting for, then? We already have a solution for you. Reach out to us and learn which features made these salon chains stand-out and grow, and how can you achieve the similar success too!